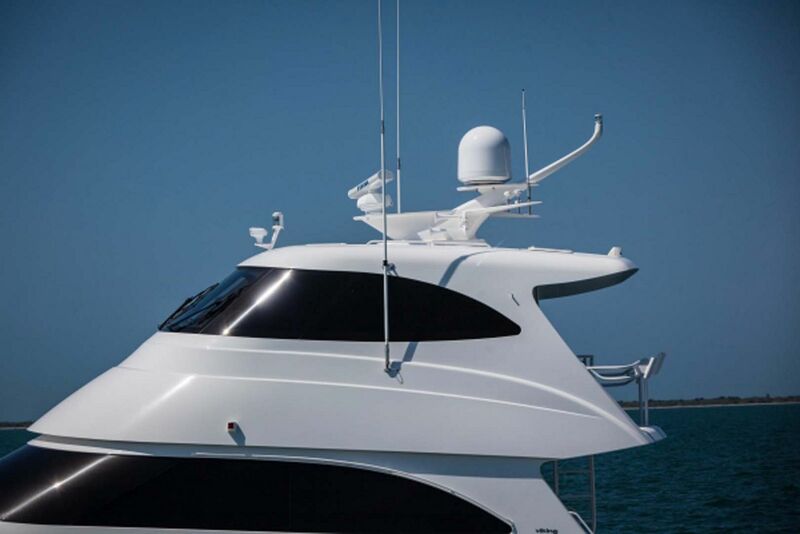 German physicist Albert Einstein once said, “The most beautiful thing we can experience is the mysterious. 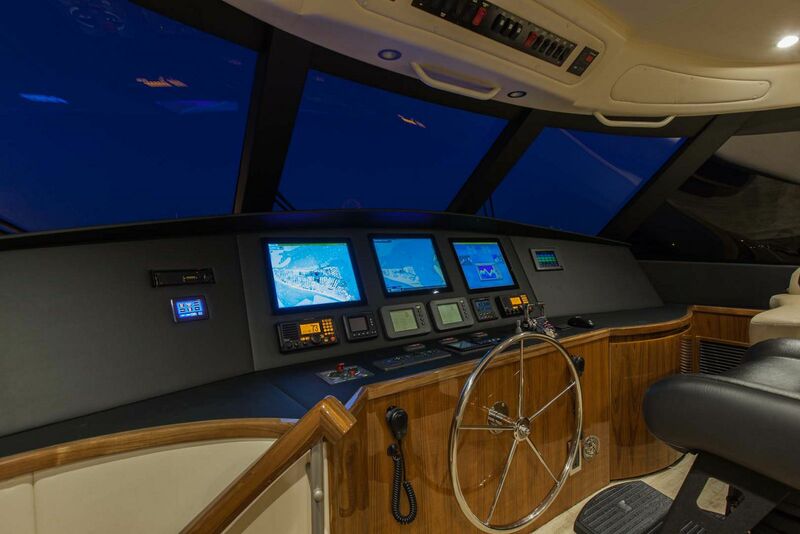 It is the source of all true art and science.” It is this quest to explore the open ocean in search of the undiscovered that is at the heart of every Viking owner. 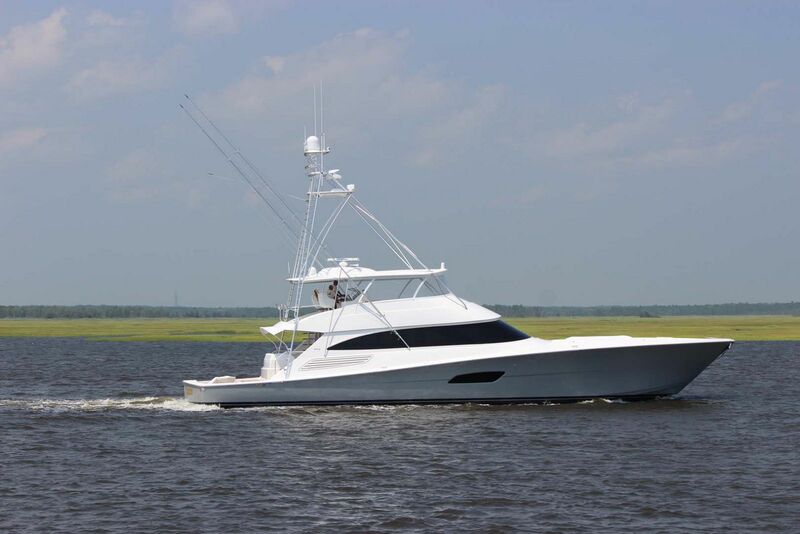 There is no sweeter victory than journeying into the sea, crew and family by your side, and waging a battle against a behemoth more than five times your weight and on their turf. 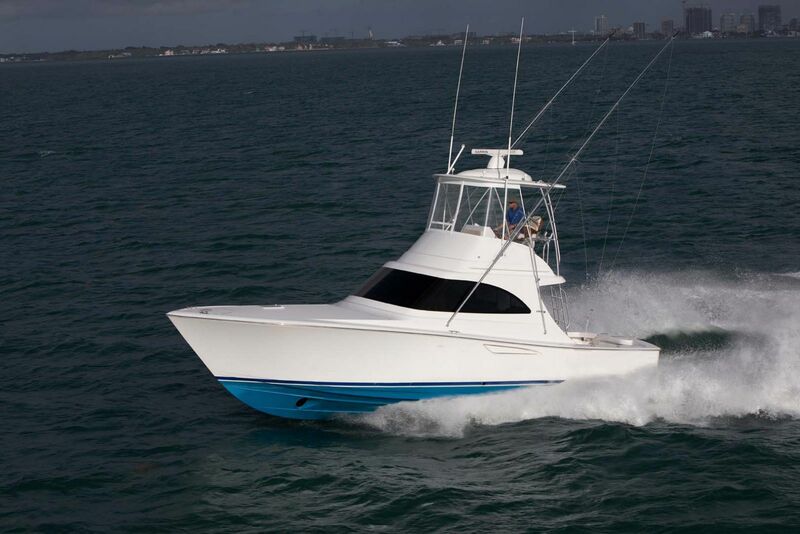 The hunt and ensuing struggle between angler and marlin is art in itself, the ocean the canvas, and the Viking 66 the paintbrush. 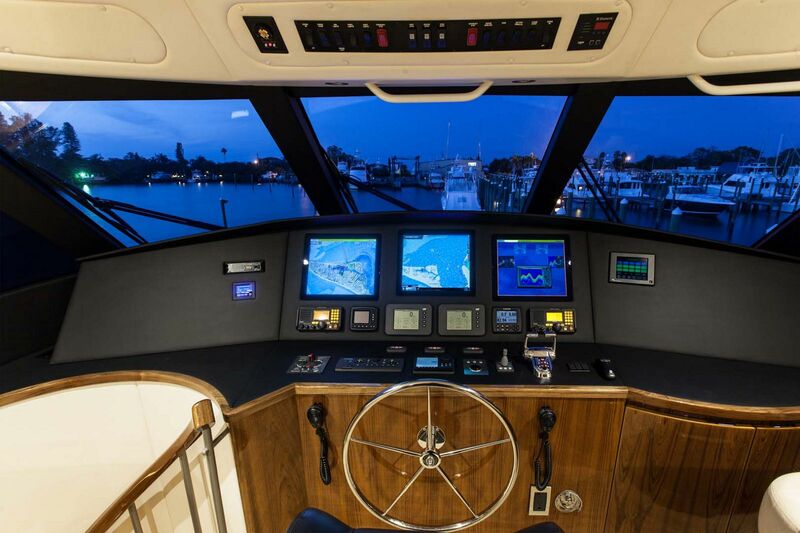 The evolution of the 64 Enclosed Bridge is now the Viking 66EB, yet much has changed other than two additional feet. 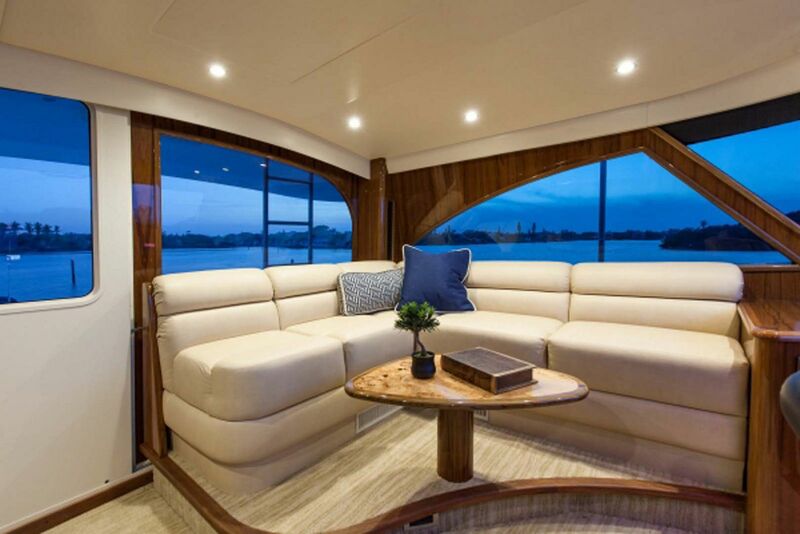 The 66 is entirely vacuum-bagged and resin-infused creating a stronger, more efficient vessel. 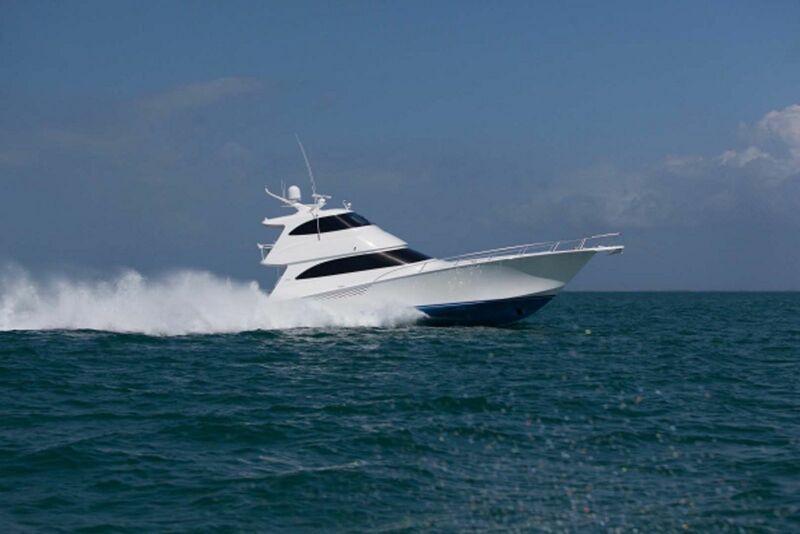 The new hull shape, the resin-infusion process, and the reduced displacement resulted in much faster speeds of over 48mph when equipped with the upgraded MTU 2000hp engines. 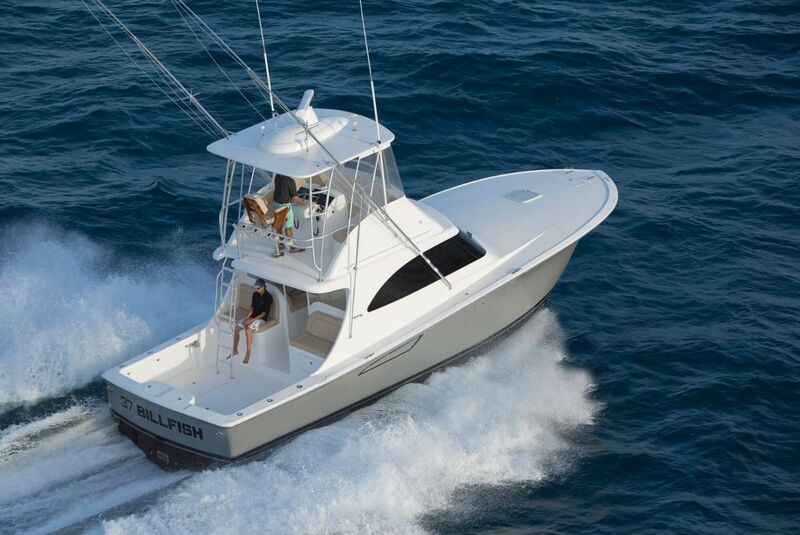 Head seas are barely felt as this battle-wagon charges forward at unbelievable speeds, delivering anxious fishermen the fight they seek faster than others. 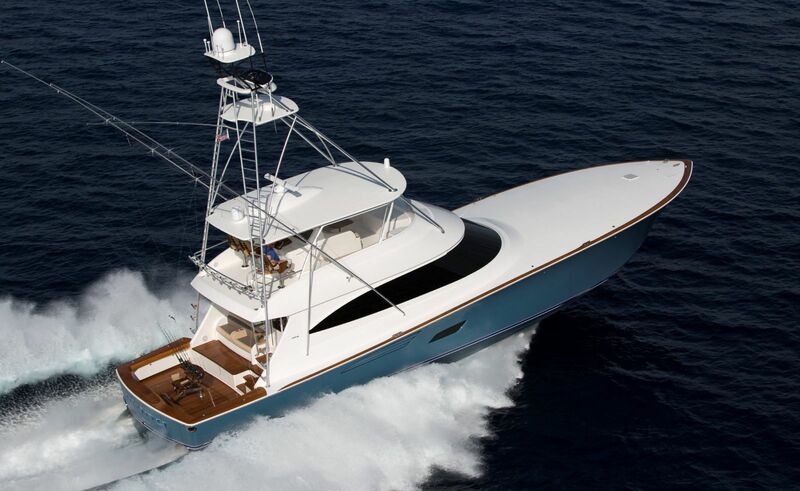 And with a 2,065 gallon fuel capacity, the battle can continue over greater distances and for much longer periods of time. 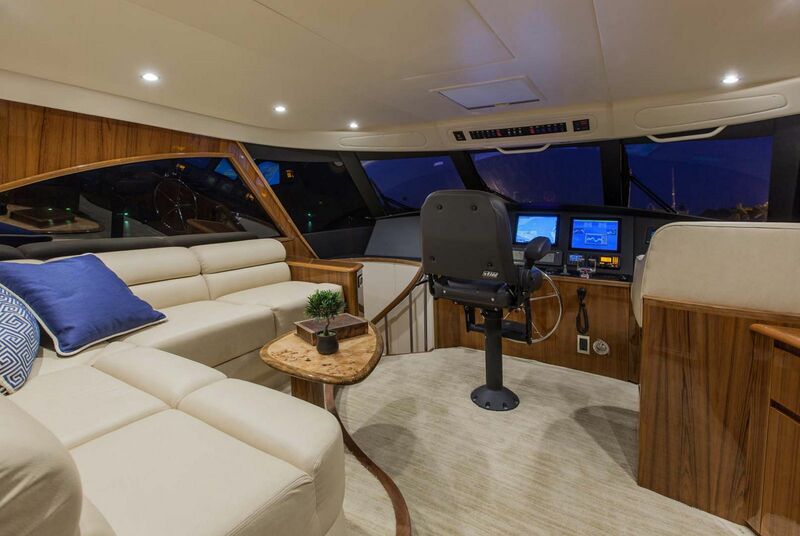 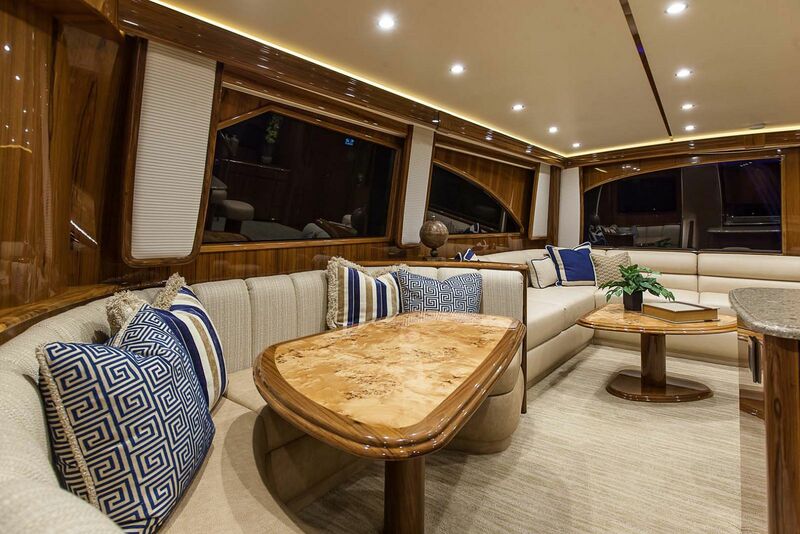 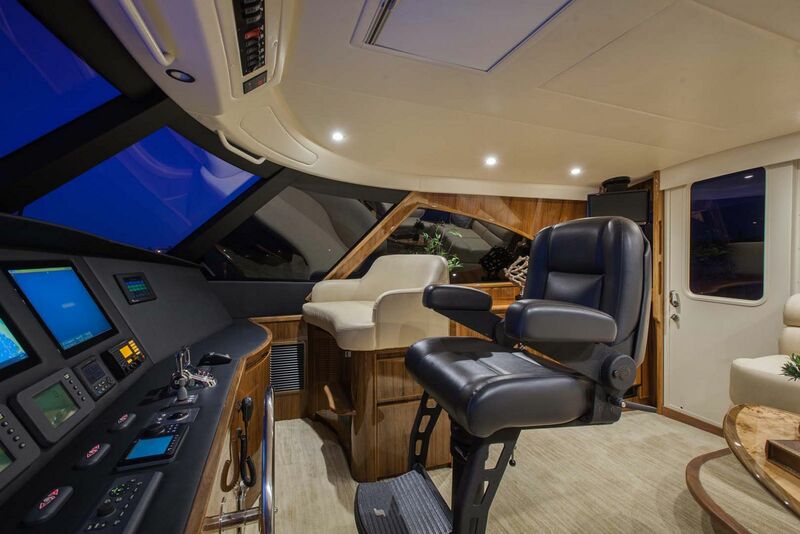 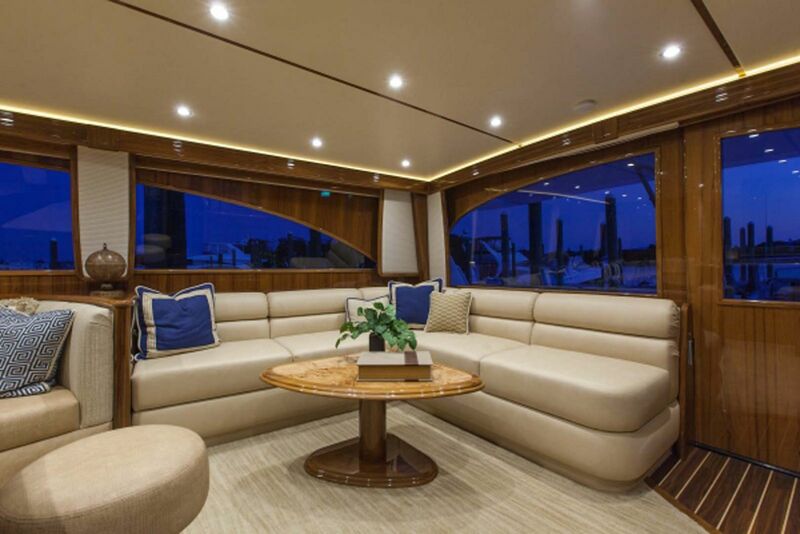 The captain of the Viking Yachts 66 EB will appreciate the comfort inside the clime-controlled enclosed bridge which also features a forward, centerline helm that increases visibility. 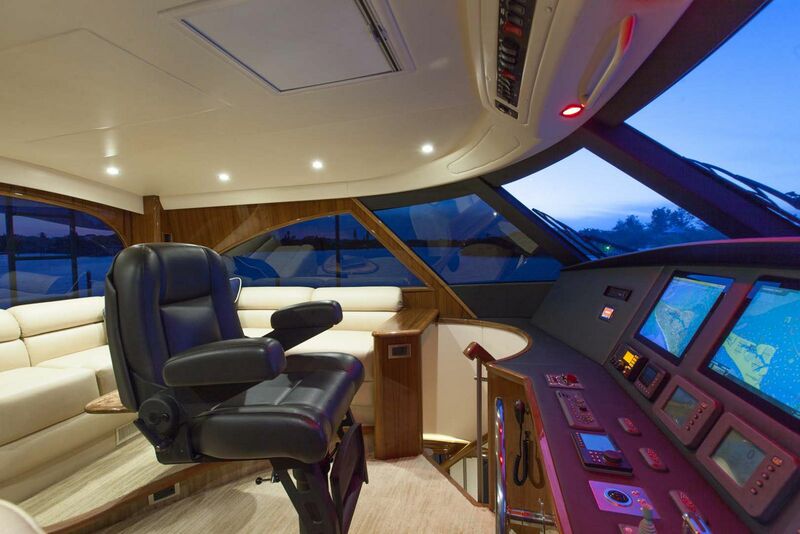 The accessory panel overhead is easy to reach and read components. 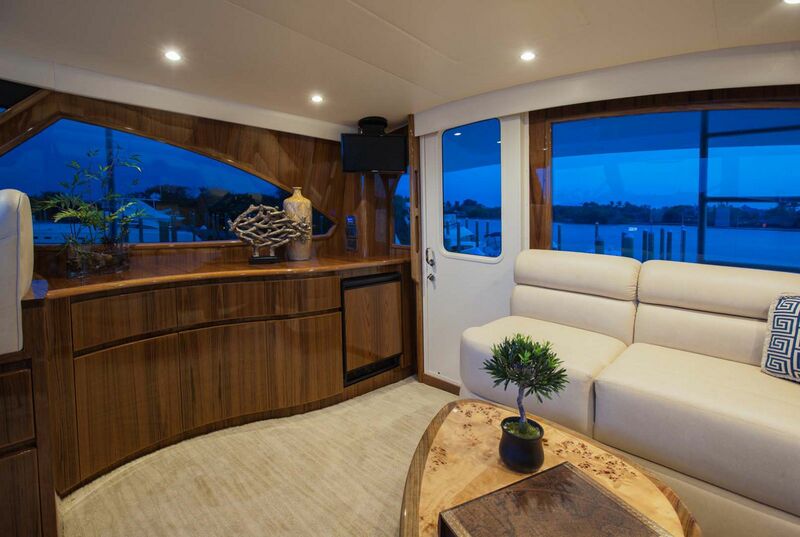 And for the guests spending time on the bridge with the Captain, Viking has placed a companion seat on the starboard side and a raised lounge and cocktail table port side. 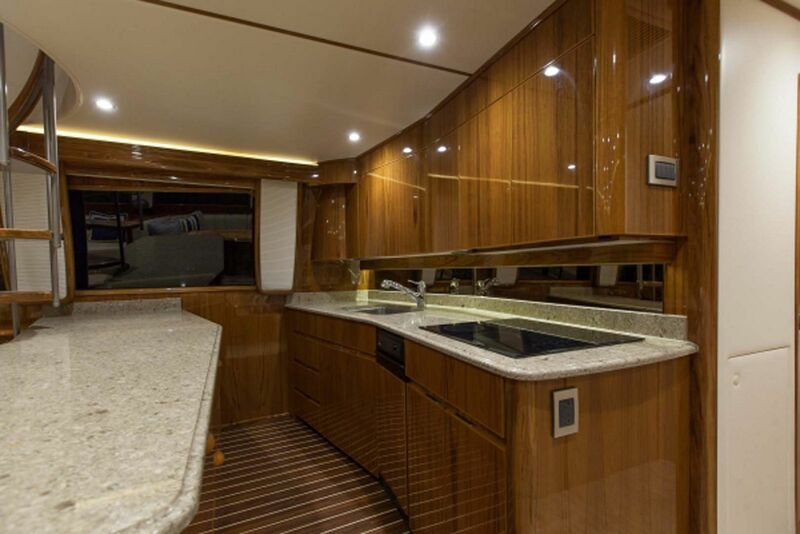 And fear not, plenty of storage, a flat screen television, and built-in refrigerator are all present on the enclosed bridge giving everyone a reason not to leave. 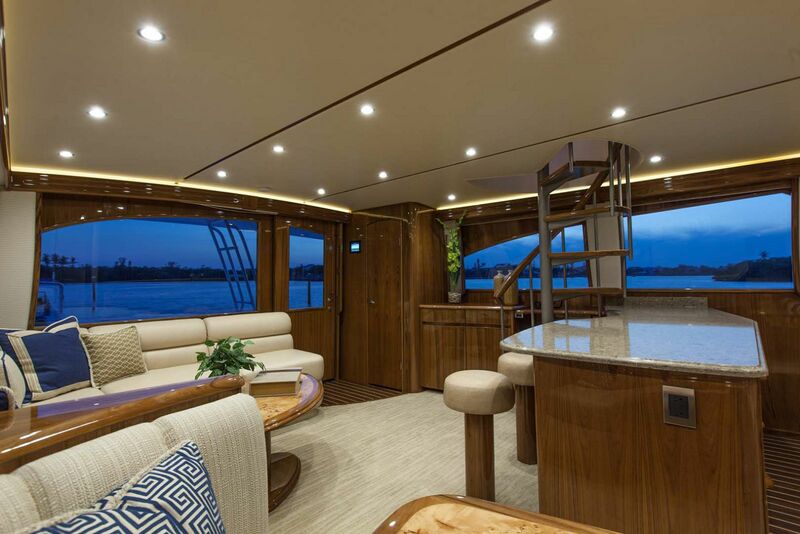 When the day is done and the team exhausted, everyone will enjoy the privacy and comfort of the four-staterooms on board, each with their own private head. 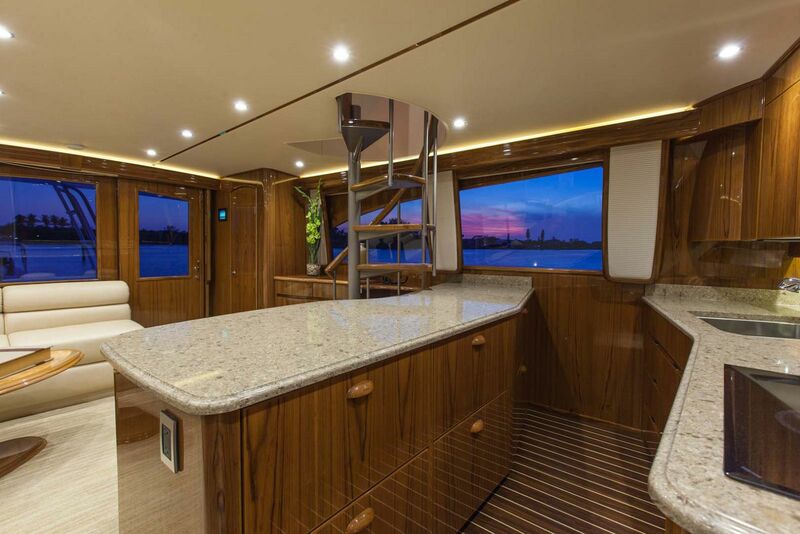 The crew quarters is a bunk stateroom down and aft from the companionway and includes a private entrance and exit through the engine room. 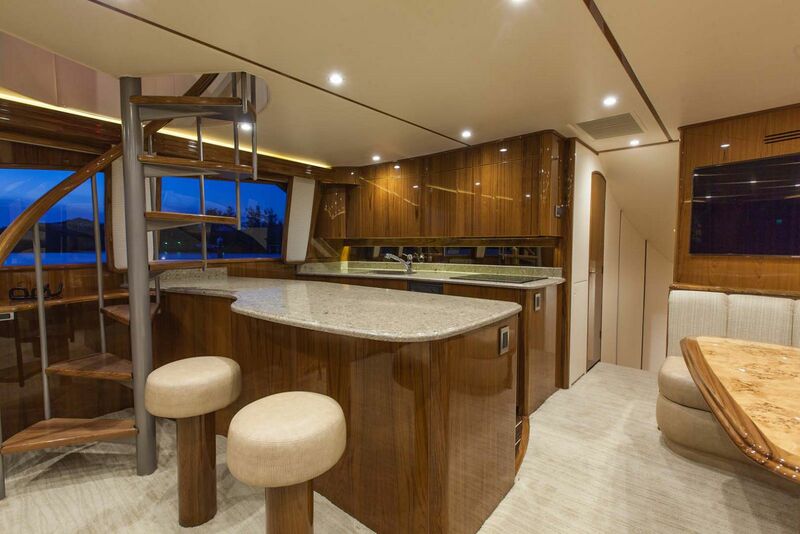 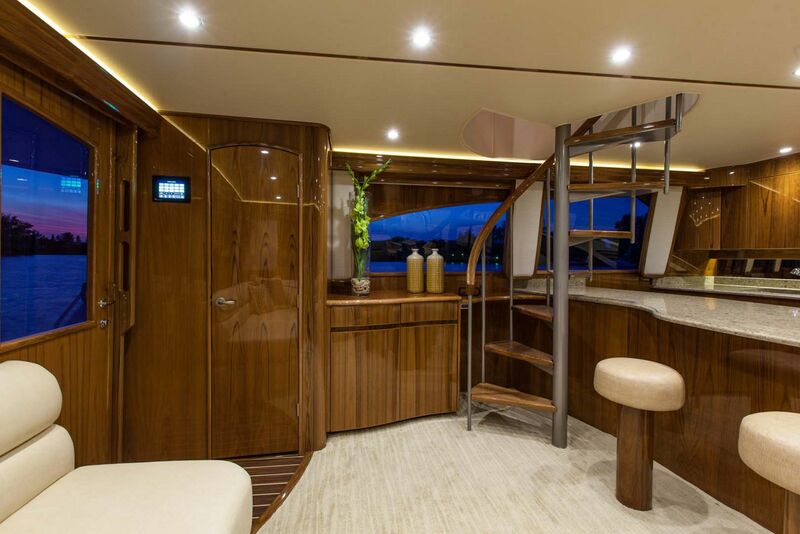 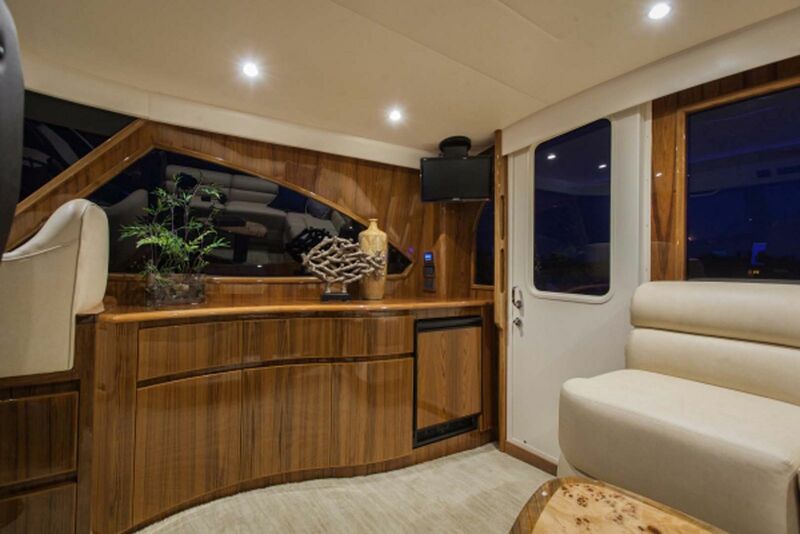 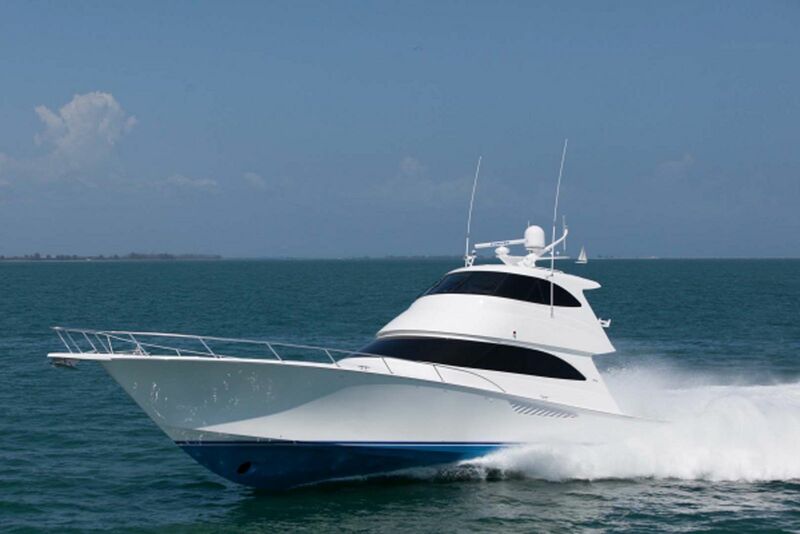 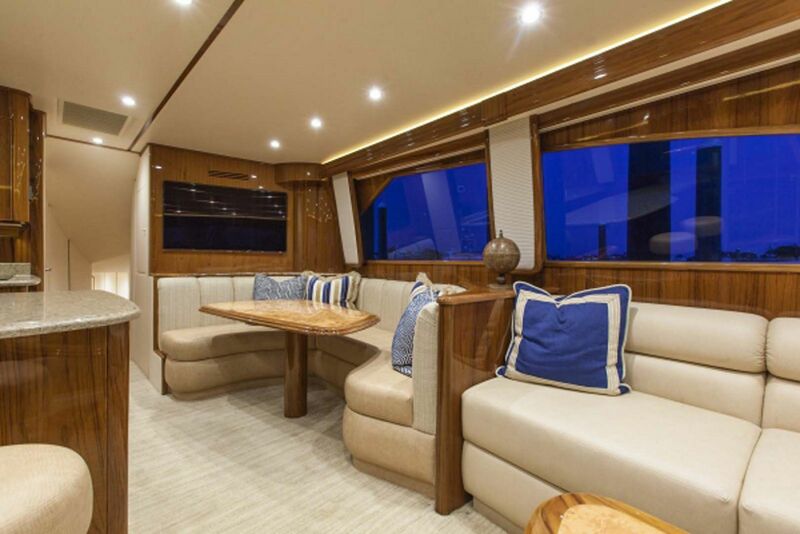 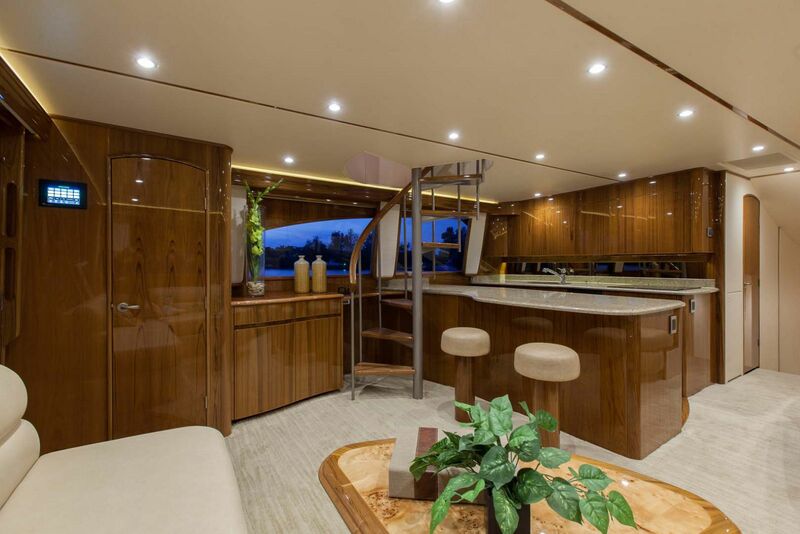 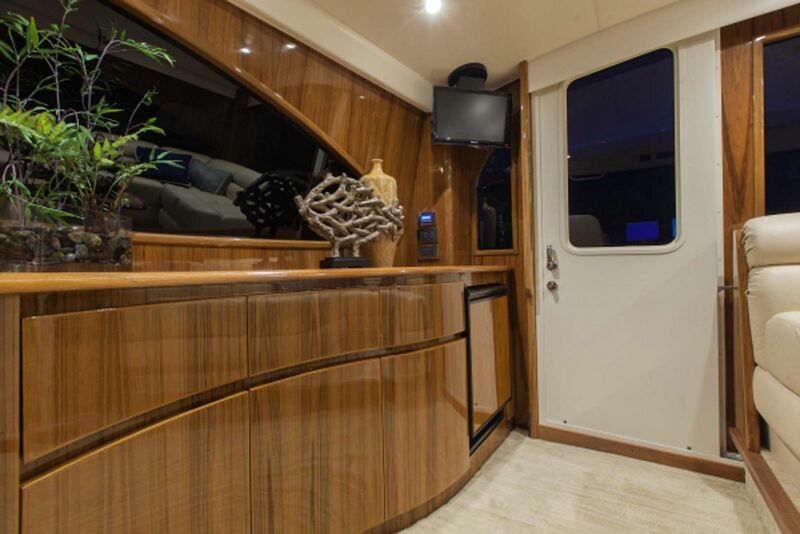 There simply is no more thoughtful, well-designed sportfish on the market today than the 66EB. 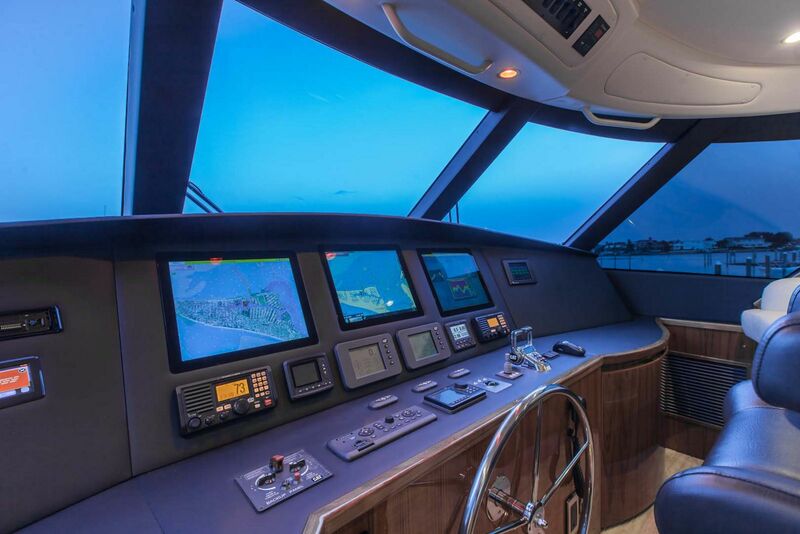 Contact your Staten Island Yacht Sales Professional today for more information on the Viking Yachts 66 Enclosed Bridge. 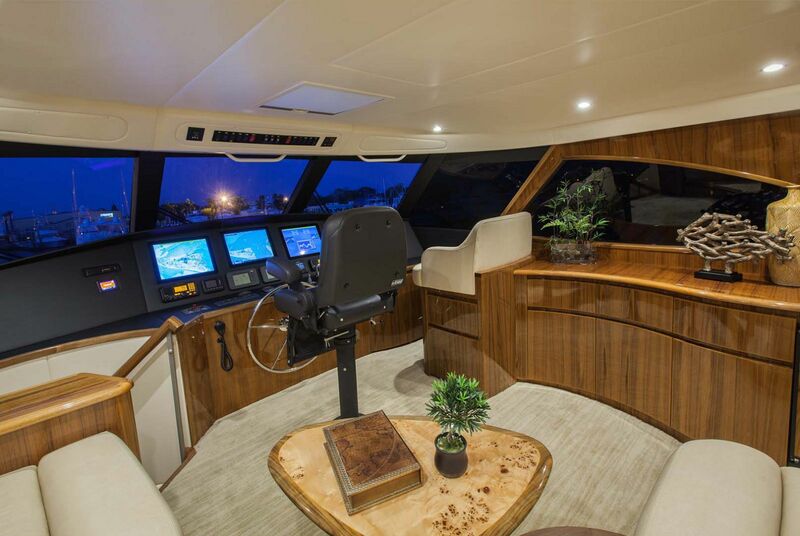 Viking Yachts released this official video trailer of the 66 Enclosed Bridge.